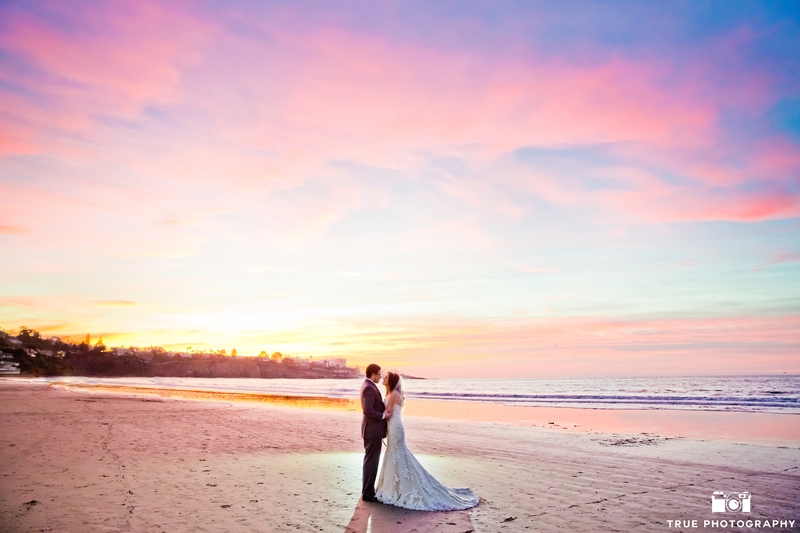 La Jolla: A Dazzling Destination for Your Wedding's "I Do"! La Jolla: A Dazzling Destination for Your Wedding’s “I Do”! Lovely La Valencia Hotel wedding. This lovely seaside town is tailor made for romance with breathtaking scenery, sparkling beaches, close to perfect year-round weather and elegant venues that go above and beyond to make your big day a memorable one. The romantic Lodge at Torrey Pines. Situated on coastal bluffs with panoramic views of the world-renowned Torrey Pines Golf Course, The Lodge at Torrey Pines dazzles with its grand California Craftsman setting and offers three all-inclusive wedding packages that cover everything from the ceremony, reception and cake cutting to deluxe accommodations for the wedding couple. Nestled in the heart of Torrey Pines mesa, the enchanting Spanish rancho-style Estancia La Jolla Hotel & Spa welcomes wedding couples with richly landscaped outdoor spaces and elegant interior event rooms. Their Romance & Rendezvous Stay Package, perfect for honeymoons, features accommodations and 50-minute couple’s massages; upgrade to the Couples Bungalow for the ultimate private romantic escape. The landmark La Jolla Beach & Tennis Club celebrates 80 years of “happily-ever-afters” on one of SoCal’s few private beaches. 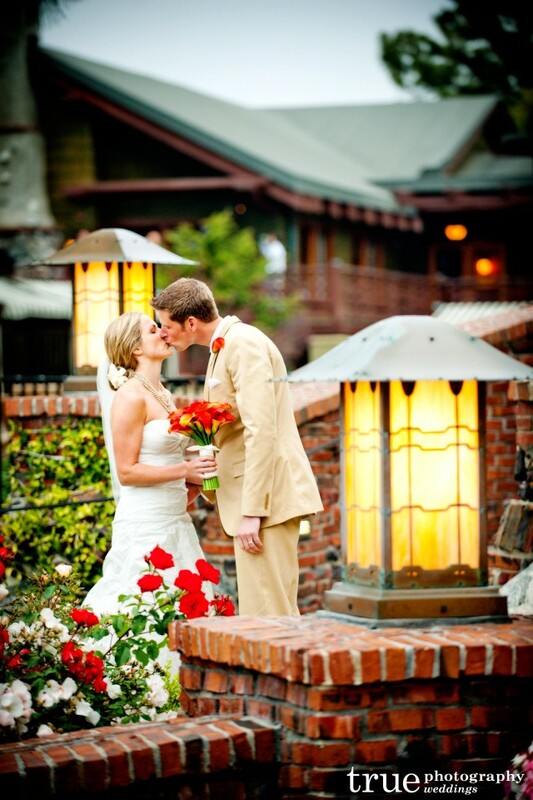 La Jolla Shores Hotel, its adjacent sister property, is equally ideal for beachfront nuptials. 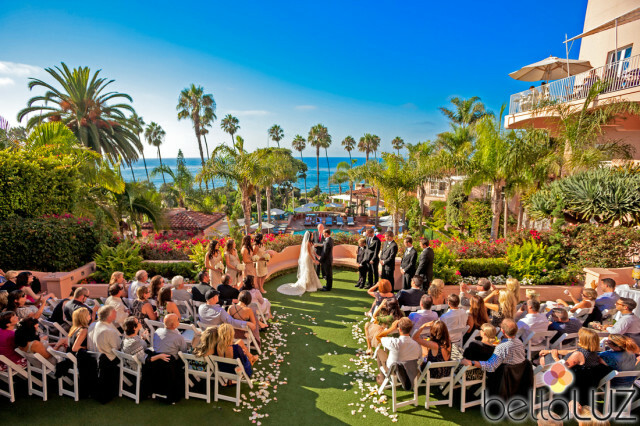 In La Jolla Village, the chic La Valencia Hotel has become a tradition for wedding couples, featuring indoor and outdoor venues with phenomenal ocean views. If money is no object (translation: ULTRA-luxurious), check out La V’s Ultimate Wedding Collection’s California Experience which transforms the whole hotel into the wedding party’s private Mediterranean-style villa! Bride at the Grande Colonial hotel. A perfect marriage of historic grandeur and modern luxury await wedding couples at the Grande Colonial, offering postcard-perfect settings overlooking the Pacific. Their Wedding Reception Package includes tray passed hors d’oeuvres, a champagne toast and one-night stay for the newlyweds, complete with breakfast in bed the following morning. Two other fabulously unique La Jolla wedding locations are the Museum of Contemporary Art San Diego with ocean views and a modern architectural backdrop, and Birch Aquarium at Scripps, pairing the enchantment “under the sea” with stunning views of the Pacific. This entry was posted in Insider Tips, Outdoor Adventures and tagged la jolla by Robert Arends. Bookmark the permalink.